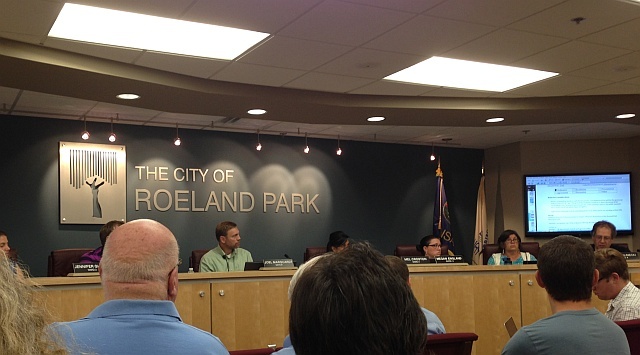 The city of Roeland Park, Kansas, is currently considering an ordinance to protect gender identity, gender expression, and sexual orientation in terms of business practices, public accommodations, renting housing, etc. Tonight was a discussion of the ordinance and there was a time reserved for public comment. Sandra Meade, the State Chair of the Kansas Equality Coalition (and the radio host of Trans Talk on KKFI) enlisted us and others to speak in favor of the ordinance, and so the two of us and Debi (who posts on this forum) answered the call to speak for the transgender community. The meeting was lengthy but polite, and the gender equality ordinance discussion was the final item on the agenda. After nearly 3 hours of waiting it was time to speak – one Roeland Park resident spoke in favor of the ordinance, then Fiona was up to bat and gave what I felt was the best speech of the night – powerful, with lots of emotion. Then I spoke, and Debi, and a few other folks in favor of the ordinance. Then opposing persons spoke, and they mainly objected for religious reasons, claiming that because Girl Scouts sold cookies in the vestibule that churches would suddenly fall under the ordinance. It was madness and obfuscation, and the speaker kept claiming an unnamed lawyer told her that it would impact churches – but she refused to name the lawyer, nor present their legal opinion. After the speeches one of the City Council Members said she had done some research into the expected costs of the ordinance, but didn’t want to present the financial breakdown because she claimed to have received “threatening and nasty e-mails” over the ordinance. When the meeting adjourned I went up and talked to her, and said that it was dishonorable and upsetting that she was receiving harassment, and I apologized for anything mean which had been said to her. She seemed a bit surprised and thanked me, and seemed very conciliatory. I don’t know why I did it other than my own sense of honor just said I had to speak out and say that harassment was wrong, no matter who was doing it. This entry was posted in Activism, Legal, Politics and tagged antidiscrimination, city council, roeland park on June 2, 2014 by .